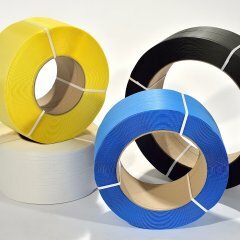 HQ Digital allows you to print customized designs on your polypropylene or polyester strapping in one or several colors. 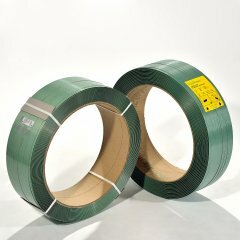 There are virtually no limits to designing the layout on your strapping. Logos in your company colors (whether in 2, 3, or more colors) and multicolored illustrations, photos, or running numbers – you name it, we got it. Our printing technology is unparalleled in the market and also constitutes a great way to stand out from your competitors. HQ Digital is particularly suited for small quantities from 24 coils on up in order to convey seasonal advertising messages or information about special offers. Use our online tool to create your individualized layout fast and easy. This way, you will get a better idea of what the finished product will look like. 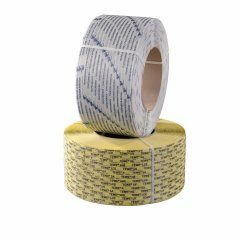 As a part of this service, we also offer you to design a printing layout suggestion for your customized strapping.